Kick up your heels in comfort with this richly neutral ottoman. Sumptuous cushion is thick and indulgent yet firm enough to support a serving tray if the mood strikes. 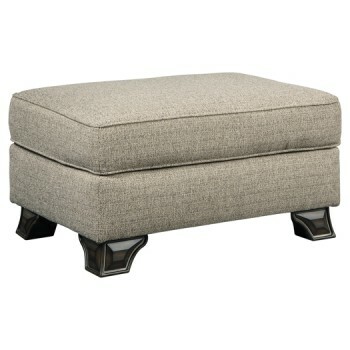 Flared feet with a walnut-tone finish give this ottoman a distinctively traditional sensibility.